Success! The mums are in! Yesterday, my husband and I put on our “can do” attitude and gardening gloves to clean out the front patch. Out went the pink mandevillas (which thrived in this space) and the english ivy. It took more than an hour of dedicated digging to clear out all the spidery plants roots. 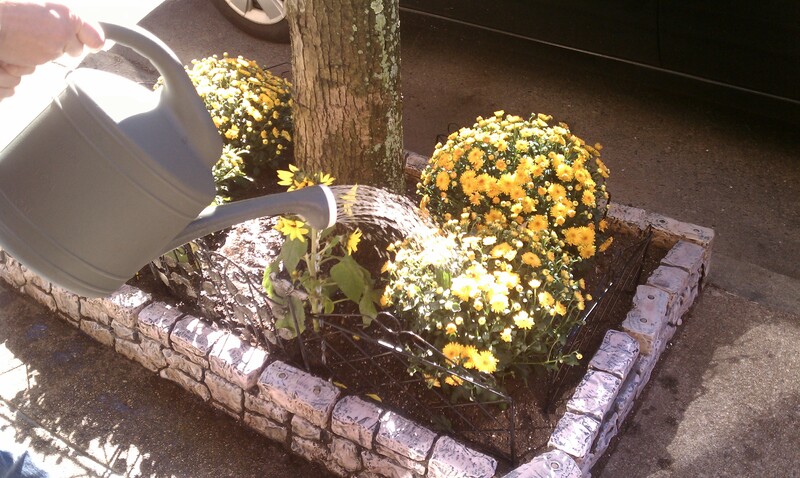 These city plants are tenacious in their search for water! It was a dirty job but lots of fun. Once cleared out, we planted a simple arrangement. 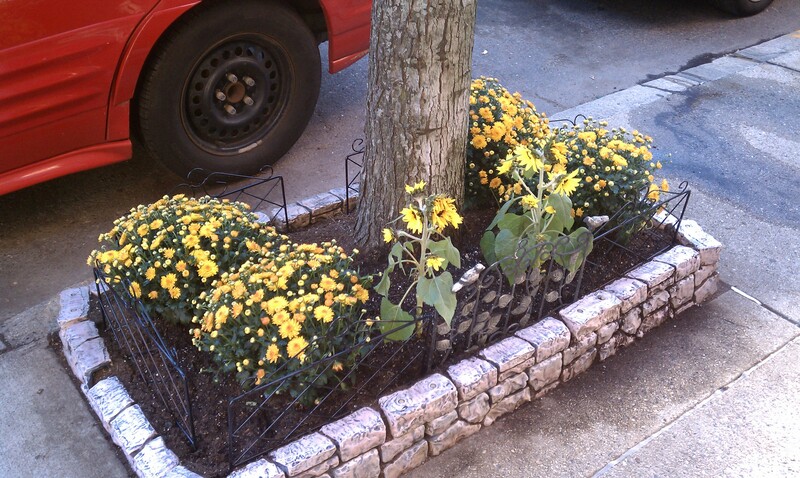 Four, big yellow mums with rust-colored specs now surround the maple tree with two happy sunflowers in front of the maple tree. The space and new mums look great. This entry was posted in My street-side tree garden. Bookmark the permalink.